100% Export Oriented Unit of a wide range of products which include adjustable bib pockets women kitchen apron, cotton pocket aprons, hand printed floral cotton table runner, machine quilted pot holder, striped printed cotton cooking apron and bib apron. The fabric is soft in feel and durable to last long. We are offering our customers an excellent quality range of Cotton Apron. Rajrang presents wide range of Indian designer Hand block print products. 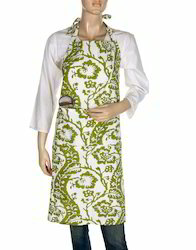 We Providing You a Best Range of block printed Apron. This Beautiful Apron Has Made From experienced Craftsmen and Given a Home Furnishing look. Beautiful Apron made of soft cotton cloth. Traditional Apron has made from experienced craftsmen. The floral printed table runner that is inspired by the Vivid Palampore theme. Spread it on the table to add the elegant dining experience. Cheap table runners that are made of cotton and hence are light in weight. The fabric is a little thick that protects the table from getting warm and stained. 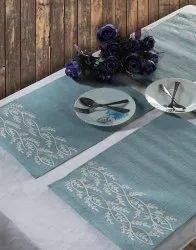 Printed tablecloth that can be used daily or in the social events, weddings or parties. The printed table runners do not have a lining under, and hence the tablecloth lay flat without slipping. Gentle wash separately in cold water." We are offering our customers an excellent quality range of Aprons. Rajrang presents wide range of Indian designer Hand block printed apron. This Beautiful Apron Has Made From experienced Craftsmen and Given a Home Furnishing look. We are offering our customers an excellent quality range of Aprons. 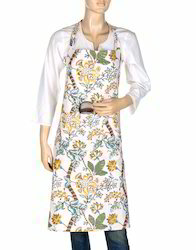 Rajrang presents wide range of Indian designer Hand block print cotton apron. This Beautiful Apron Has Made From experienced Craftsmen and Given a Home Furnishing look. We are offering our customers an excellent quality range of Baskets. Rajrang presents wide range of Indian designer Hand block print products. We Providing You a Best Range of block print Kitchen Basket. This Beautiful Basket Has Made From experienced Craftsmen and Given a Home Furnishing look. Beautiful basket made of soft cotton cloth. Traditional Bread Basket has made from experienced craftsmen. We are offering our customers an excellent quality range of Aprons. Rajrang presents wide range of Indian designer Hand block print products. 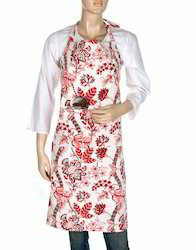 We Providing You a Best Range of block print printed apron. This Beautiful Apron Has Made From experienced Craftsmen and Given a Home Furnishing look. We are offering our customers an excellent quality range of Storage Baskets. Rajrang presents wide range of Indian designer Hand Block Print products. We Providing You a Best Range of Hand Block print Bread Basket. This Beautiful Basket Has Made From experienced Craftsmen and Given a Home Furnishing look. 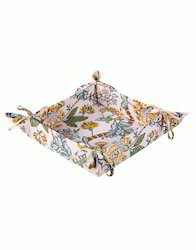 "A perfect pick of kitchen accessory, cloth pot holder that slips on and off easily. The tea pot holder is made of cotton from both face and the back material and has a cotton fill inside. 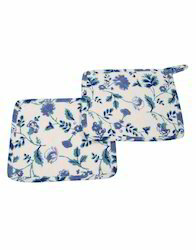 Engaging floral prints that make the kitchen pot holder set, a little stylish to use. Handle the utensils with great ease and use the cloth pot holders, preventing your hands and table from heat. The heat resistant pot holders have a string in the corner to hang it anywhere in the kitchen. It comes in the packaging of 2. 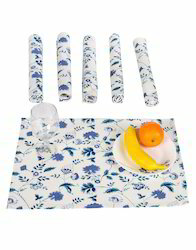 "Serve the food in style using the printed tablecloth on the dining table or any buffet server. Let the table speak of the hygiene and cleanliness with the modern table covers. The table runners are made of cotton that makes it very light in weight. 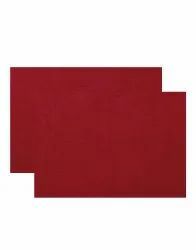 Thick fabric without any lining that helps to lay the fabric flat on the table. The hand block prints account for the beauty of the long table runners. Description : We are offering our customers an excellent quality range of Baskets Rajrang presents wide range of Indian designer Hand block print products. We Providing You a Best Range of block print Bread Basket. This Beautiful Basket Has Made From experienced Craftsmen and Given a Home Furnishing look. • Beautiful basket made of soft cotton cloth. • Traditional Bread Basket has made from experienced craftsmen. 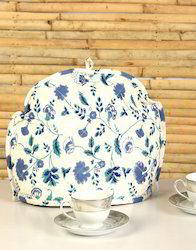 Beautiful Tea Cosy made of soft cotton cloth. Indian Hand Block Printed work. 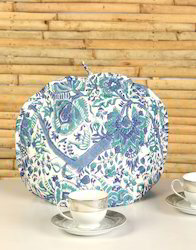 Traditional Tea Cosy has made from experienced craftsmen. Dress for culinary success and protect your clothes from food stain and accidental spills, add a professional style of cooking and enjoy the action without having to worry about soiling with our Black Apron. Back ties and adjustable neck give it a comfortable and good fit. Made from premium quality material these aprons are easy to use and can be maintained without much hassle. We are offering our customers an excellent quality range of Aprons. Rajrang presents wide range of Indian designer Hand block printed apron. This Beautiful Protective Aprons Has Made From experienced Craftsmen and Given a Home Furnishing look. Wash Care Machine Wash In Cold Water,Gentle Cycle,Dry In Shade,Iron at a Medium Temperature. Dress for culinary success and protect your clothes from food stain and accidental spills, add a professional style of cooking and enjoy the action without having to worry about soiling Apron. Back ties and adjustable neck give it a comfortable and good fit. Made from premium quality material these aprons are easy to use and can be maintained without much hassle. 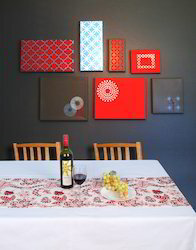 Choose the hand block printed table mats as your next dining accessory. 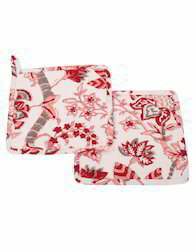 Go chic and classy with the vibrant dinner placemat that are made of cotton. Easy to clean mats that can be folded to store without taking much of space. These hand made fabric mats protects the table from scratches and stains from utensils. An elegant accessory that can help to add grandiose to your dinner. Neat finished edges. High quality fabric that makes it durable and good for daily use. Gentle wash separately in cold water. Dry in shade to avoid color fading. Dress for culinary success and protect your clothes from food stain and accidental spills, add a professional style of cooking and enjoy the action without having to worry about soiling with our Apron. Back ties and adjustable neck give it a comfortable and good fit. Made from premium quality material these aprons are easy to use and can be maintained without much hassle. Description Choose the table mats as your next dining accessory. Go chic and classy with the vibrant dinner placemat that are made of 75% Cotton 25% Polyester. Easy to clean mats that can be folded to store without taking much of space. 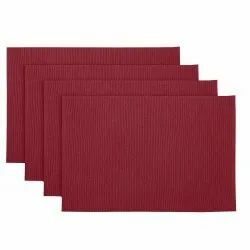 These hand made fabric mats protects the table from scratches and stains from utensils. An elegant accessory that can help to add grandiose to your dinner. Neat finished edges. High quality fabric that makes it durable and good for daily use. Gentle wash separately in cold water. Dry in shade to avoid color fading. Choose the table mats as your next dining accessory. Go chic and classy with the vibrant dinner placemat that are made of Jute. Easy to clean mats that can be folded to store without taking much of space. These hand made fabric mats protects the table from scratches and stains from utensils. An elegant accessory that can help to add grandiose to your dinner. Neat finished edges. High quality fabric that makes it durable and good for daily use. Gentle wash separately in cold water. Dry in shade to avoid color fading. We are offering our customers an excellent quality range of Baskets. Rajrang presents wide range of Indian designer Hand block print products. We Providing You a Best Range of block print Bread Basket. This Beautiful Basket Has Made From experienced Craftsmen and Given a Home Furnishing look. 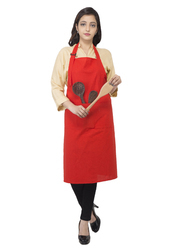 We are offering our customers an excellent quality range of Aprons. Rajrang presents wide range of Indian designer Hand block print apron. 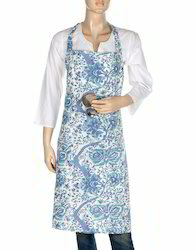 We Providing You a Best Range of kitchen Apron. This Beautiful Apron Has Made From experienced Craftsmen and Given a Home Furnishing look. "Buy tea cozy online from Rajrang. Give yourself a king-like treatment with the grand style of serving the tea. 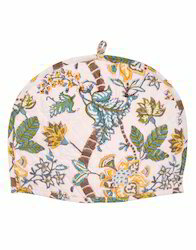 Cover your tea pots with the quilted tea cozy that keeps the tea warm for a longer time. Attractive hand block prints on the outside only. Both the face and the back material is cotton. 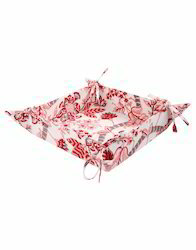 The fill inside creates proper insulation and makes the tea cozy light in weight. The high-quality fabric used for durability. The tea cozy features a loop for easy storage. Match it with the Rajrang placemats and the table runners. • Beautiful Tea Cozy made of soft cotton cloth. • Indian Hand Block Printed work. 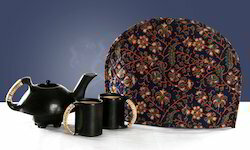 • Traditional Tea Cozy has made from experienced craftsmen. 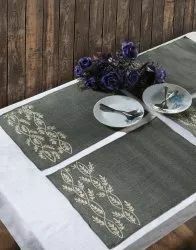 Description : "Display the best of your hospitality by serving food on this beautiful table runner. The awe-inspiring floral prints based on the Vivid Palampore theme looks stunning accessory for the table or the buffet service. 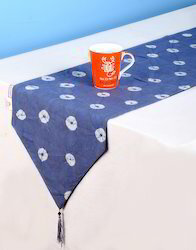 Made of cotton, the table covers are easy to manage and very light in weight. 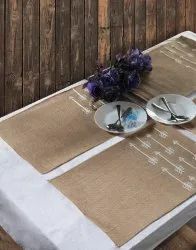 Thick fabric without lining that lay the cheap table runner flat.Use the block print table runners for weddings, social events, parties or other activities. Gentle hand washes separately in cold water. 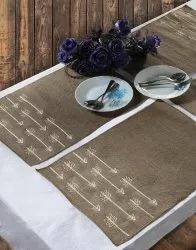 Display the best of your hospitality by serving food on this decorative dinning table runners. The awe-inspiring floral prints based on the Vivid Palampore theme looks stunning accessory for the table or the buffet service. 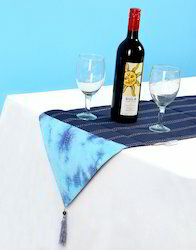 The cotton table runner is easy to manage and very light in weight. 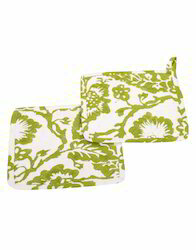 Thick fabric without lining that lay the cheap table mat runner flat. Use this dining table runner for weddings, social events, parties or other events. We are offering our customers an excellent quality range of Baskets Rajrang presents wide range of Indian designer Hand block print products. 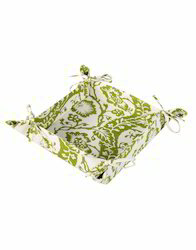 We Providing You a Best Range of block print Kitchen Basket. This Beautiful Basket Has Made From experienced Craftsmen and Given a Home Furnishing look. 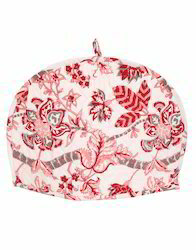 • Beautiful Tea Cosy made of soft cotton cloth. • Traditional Tea Cosy has made from experienced craftsmen.